About 2000 Steller´s Eiders winter in West-Estonian coastal waters. In Early spring they come closer to shore and are easier to see. At the same time woodpeckers, owls and grouses are getting active. Capercaillie, Black Grouse and Hazel Hen are lekking. Owls start to hoot to declare their territories. Woodpeckers are drumming. The best time for sighting all this natural life is at the end of March and the first part of April. Arrival to Tallinn, drive to Saaremaa. Short stops for birdwatching on the way. While going with the ferry to Saaremaa island, it’s possible to spot water birds and Ringed Seals on drift ice. In the evening, we look for Pygmy Owl in the forests near the accommodation. Overnight in Saaremaa. Steller’s Eider and other waterfowl – Undva promontory and Uudepanga bay. Driving around Saaremaa island NW coast and it’s best birdwatching spots gives you the opportunity to spot beside Steller’s Eiders thousands of Long-tailed Ducks, other overwintering waterfowls, and some White-tailed Eagles. In the evening drive back to Estonia’s mainland and spend the evening agin looking for owls. Overnight in mainland NW of Estonia. On meadows, which are close to huge bog areas in NW Estonia, it is possible to observe Black Grouse leks. On early spring mornings, you can even see tens of male Black Grouses lekking. On the way to the lekking areas, we look for capercaillies on forest roads. 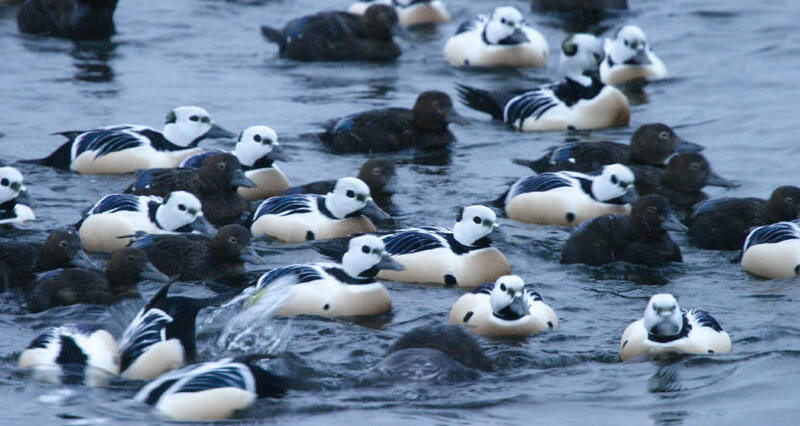 Price for Steller’s Eider weekend group tour, 4 days is 630 euros per person. Single supplement 60 euros. Group size 4-15 persons. 28-31st of March 2019 – Guaranteed! Free places available.